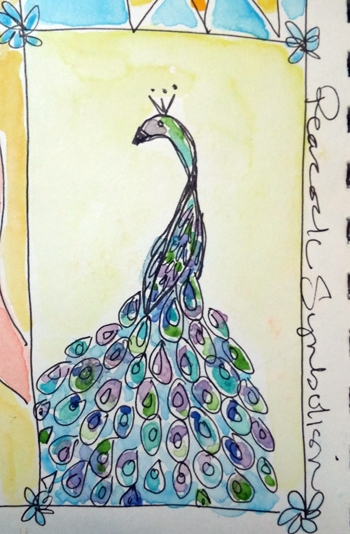 We lived near the Los Angeles County Arboretum and Botanic Garden when I was little and my favorite thing was looking for and finding the peacocks. Always hoping one would drop a feather. When we lived in Texas, the property across the bayou from our home had several peacocks. Once one flew over the water and landed in our yard with an injured foot…. We doctored him up and drove him back home. We learned his name was Peg leg Pete and he had been missing his foot most of his life. A few years ago I worked with Tovrea Castle at Carraro Heights Phoenix Arizona. I most loved the stories shared, especially the part about the peacocks used as sentries on that huge property surrounding the home. 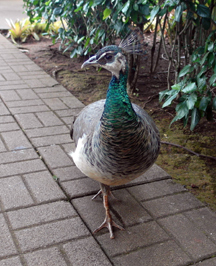 Traveling to HI, January this year, met a #peahen at the Dole Pineapple Plantation (if you are in tourist mode this is the place to go.) One person told me her name was Hank, another told me her name was Betsy. She didn’t mind either way as long as you had something to eat. And I have two identical peacock necklaces, so I can always find one. But only last night did I read about the #peacock #symbolism. 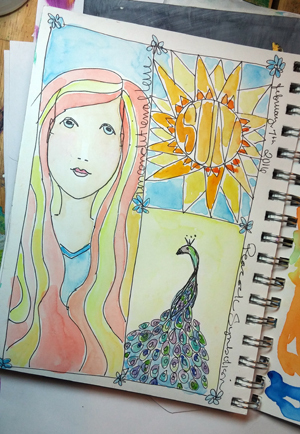 The Peacock also denotes Nobility, Holiness, Guidance, Protection and Watchfulness. Again, no surprise that I love this beautiful bird. And apparently I have been looking for them and see them. What symbol or images have crossed your path more than once today? Have you ever considered looking up the meaning to see if there is a message for you?